Grace Note Music Studio is a private music school located in downtown Visalia, CA. Grace Note was established in early 2014 to fill a need in the community for quality private music instruction. We offer one-on-one instruction with professional music teachers. We currently employ 15 teachers and provide instruction for most instruments and voice. We have students ranging in age from 6-81. In two years our enrollment has grown to 120 students!!! Grace Note has booked the historic Visalia Fox Theatre and will be putting on a concert June 10, 2016 at 7:00pm! This concert will showcase our extremely talented teachers. Our teachers are hard at work preparing an eclectic and entertaining evening of music to share with the community of Tulare County – we’ve even rented a grand piano! This family friendly event will have lots of great raffle prizes to win! Grace Note will be giving back to the community that we love by donating all of the proceeds from this event to two local charities! 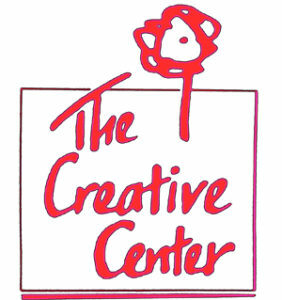 The proceeds will be split between CASA (a non-profit organization dedicated to giving legal and other forms of aid to abused and neglected children), and The Creative Center (a non-profit community arts center for adults with developmental disabilities). To further the success of this event, Grace Note is reaching out to businesses in the community for sponsorship. This is the perfect way for Grace Note and local businesses to team up to bring Tulare County a fun-filled evening of music and provide funding to some truly worthy causes! Please see the attached form for ways your business can sponsor this event. 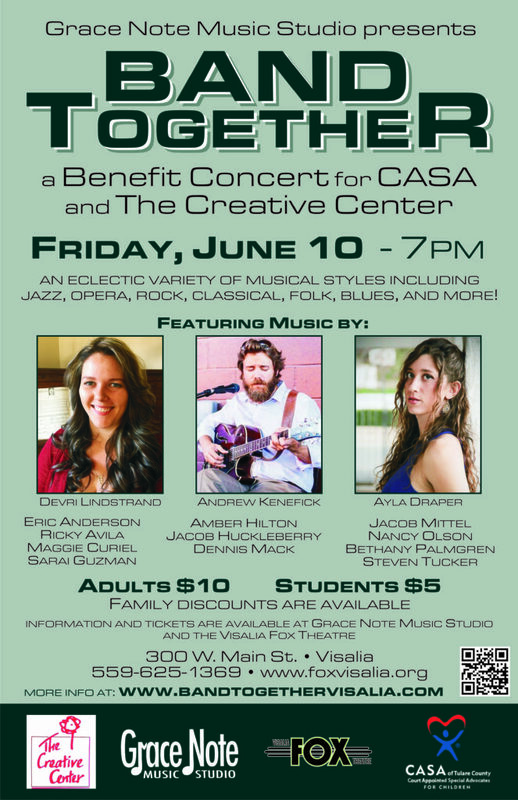 All proceeds from Band Together will be split between CASA and The Creative Center.  If you would like to donate to our cause please click the PayPal donation link below.